A hidden gem inside city limits!! 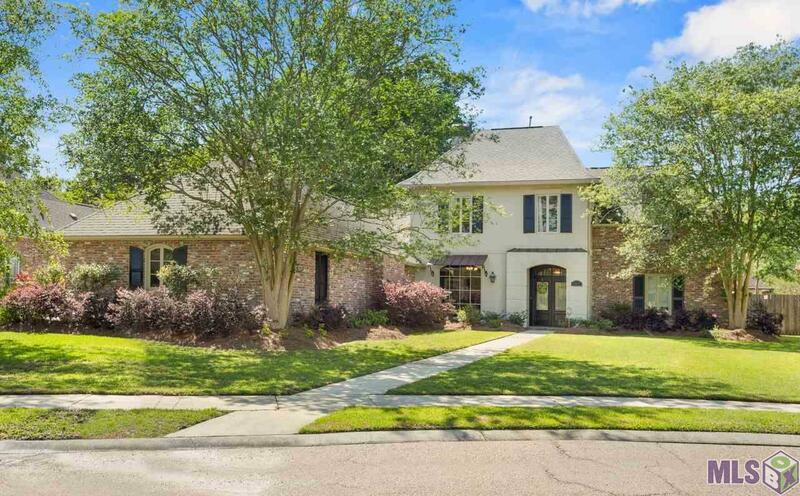 Lakeside Oaks is located in the Baton Rouge mix in a private neighborhood off of Bluebonnet near Perkins. This beautiful 4 bedroom 3 bath home is located in the spectacular Lakeside Oaks Subdivision. The "Chef's kitchen" has been recently renovated and features a large island with a gas stove top, double wall oven and coordinated granite with quartz counter top mix. You will enjoy entertaining friends and/or enjoying family time with this attached keeping room and cozy fireplace. The butler's pantry is also used as a beverage center and bar. The living room is large with high ceilings, beautiful crown molding, heart of pine wide plank floors and opens with French doors and a glass transom to the classic formal dining area. The master bedroom is a tucked away suite with a very large closet and an office which is a quiet spot for getting work done. Upstairs you will find two bedrooms which share a bathroom and a den area which could be a study spot, craft area or kid's den. The 4th bedroom and a bathroom is near the kitchen and garage, providing privacy for elderly parents or the teenager of the family or guests. A magnificent Cypress built porch entertaining area has been recently added for outdoor living and outdoor cooking. The backyard is large enough to play ball, let the fur friends roam or just relax in your own space. Specialty trees in this backyard include, lemon, fig, satsuma and olive. Many will be ready to harvest this fall! The owners are sad to leave this beautiful home, however they know the new owners will make fabulous memories just as they have for so many years.